Granite counters not only lend to the beauty of your home but serve as an investment. 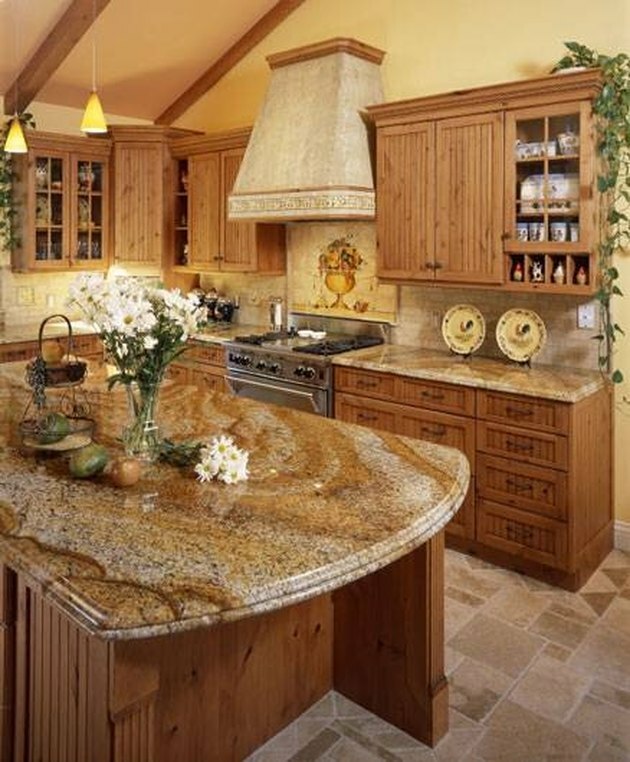 Granite counters are both durable and appealing. These counters require special care to keep them looking elegant so regular cleaners and methods don't apply to them. Most cleaning rituals for these counters are fairly simple and don't require too much effort. If you happen to somehow get adhesive on your granite counters, there is no need to worry; it's a simple fix. Use a sharp razor blade and gently remove as much of the adhesive as possible. Pour a small amount of nail polish remover with acetone onto a soft clean white cloth. Scrub the area with the cloth until all the residual adhesive is gone. You may need to apply more nail polish remover to the cloth, depending on how much adhesive there is. Do not pour the nail polish remover directly onto the counter as this may damage it. Use a soft clean dry cloth to wipe the area free of any residual debris. Mix diatomaceous earth and mineral spirits into a thick paste and apply it to the area if there is now a stain where the adhesive was. Cover the poultice with plastic wrap and leave it overnight. In the morning, use rubber or plastic spatula to remove the poultice and wipe the area with a clean damp cloth.